Two enemy warriors: one human, one immortal. Different in belief, alike in spirit, marooned together on an alien world. Imprisoned and in isolation over a year without food or water, the immortal Pietas survives. Though broken in body, his intellect and will are intact, thanks to Six, the special ops warrior who captured him, but kept him sane. The warrior had no hand in his deprivation and, like Pietas, was betrayed by his own kind. 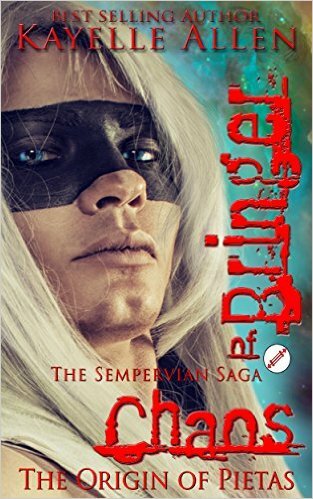 When Pietas is abandoned on an alien world with nothing but his honor–and Six–he must find and rejoin other immortal exiles. After centuries of war, Pietas detests humans and kills them on sight, but he is too damaged to continue on his own. Though he despises needing help, he allows Six to nurture and restore him to full strength, and then accompany him. As they cross the planet together on foot, the immortal begins to wonder if he has found his first human friend, or if Six is loyal only because Pietas could keep the others from tearing him to shreds. This human will either be his closest living friend, or the one whose betrayal will trigger all-out vengeance by the most powerful immortal ever born. As a fan of science fiction and fantasy, I was eager to dive into Bringer of Chaos: the Origin of Pietas. Based off the book summary, my expectations were set high. Certain aspects of the story caught my interest, but then, several sections dragged on and didn’t reach their full potential. High points: Kayelle invented the Ultras. Whose abilities would astound anyone. They heal quickly, diseases don’t affect them, can survive any wound, and can be “reborn”. Only two ways ensured their death was permanent. 1) Immolate, freeze and then shatter the Ultra. 2) Put the Ultra through a bone shredder. During Pietas captivity, he never met his true death. Actually, he was reborn 1000 times over and, according to him, that’s almost worse than dying. Imagine your body wasting away, perishing, coming alive again, & repeat. I can see why Pietas had no love for humans — Until he met Six (not his real name). Six started off his adversary but things changed in the year it took them to reach Sempervia. Once they landed, Six became the hunter, caregiver, protector, comrade and, most importantly, a friend to Pietas (or as Six dubbed him, Pi). There on Sempervia, I felt Kayelle could’ve done so much more for the readers. She could’ve added more scifi elements to this science fiction tale. I expected more trouble with the elements. Heck, give me a battle with unknown creatures on the island. Something. Anything. We did see a storm, numerous birds, and cats but that’s it. But basically, there was nothing really holding my interest. I, once again, had such high hope things would pick up when Pi finally reconnected with the other Ultras in chapter 24 but nope, nothing. In chapter 26, they discussed creating a plan to secure food, shelter, and a way home. That’s where the story ended. No closure but a set-up for book 2, Bringer of Chaos: Harvest of Blood. I'm a fan of Kayelle's writing and I loved this book, (this book is where all of us readers who have been hating this bad guy "Pietas" suddenly fall in love with him – this is a MAJOR TWIST in the series!) but as I was saying, I have read all the ones in this series before Bringer of Chaos (which is the transition book of this series) so I know as a reader of the series there is more coming…writing series is not an easy thing…readers have to understand like any story you have the peaks and lows of telling a tale – transition books are the calm before the storm in the series…trust me…this is a 5 star series IMHO. Tammy: You might rate it higher but you'll only know this if you give it a gander. Happy reading & thank you for stopping by. 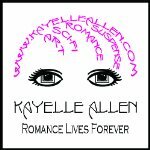 Houston: I will admit I never read any of Kayelle's work before. Maybe my score would've been higher if I had. I do appreciate & love the fact a fan of hers has enlightened me (us) the importance of doing so. Thank you for your input & visit. You know I love your reviews, but I'm sad you scored this one so low…I found this to be a very emotional story and a real insight to the bad guy Pietas…after hating him so much from the first books in this series … I found it to be such an awesome twist that the author did to make us readers move from really hating Pietas to loving him – that's not easy for an author to do. I was moved by the emotions this book had. Having read the first books I didn't expect any great wars because this series isn't an action (battles and wars) kind of Scifi … it's more of an intellectual story…very moving…very touching. I'm looking forward to the rest of the series … try reading it again and this time let her lead you through the tale instead of presuming what you think the story is and you might see a whole different story. Kam … you're an awesome reviewer – I respect you because you're always kind in your reviews. You're comment above about "you might rate it higher…" show that. Yes…about reading the books before that – I really think you'd have a different rate if you had and that's the only reason I spoke up and said anything…it's the hardest thing for an author who writes series… to have the reader who gets in on the middle of it. Thanks for letting me voice my opinion…as a fan of that series. Now I'm wishing Kayelle would've requested earlier books in the series. Based off how passionate you are regarding the series, I'm sure my score would have been much higher based off getting the whole picture. I'm sure you would…and I admire you for saying so – you're an awesome lady. Have a great holiday weekend. Kam, thank you for sharing. The discussion has made me want to look at these books. Hope you have a great weekend and be safe!!!! I'm so happy to hear you say that & I know Kayelle will be too.